Ludwig van Montreal: REVIEW | A cello concerto by Schubert? Believe it. Chamber orchestras have long relied on transcriptions to shore up their limited repertory. Jean-Marie Zeitouni and I Musici de Montréal brought their season to a close on Thursday in Bourgie Hall with a program dominated by such works. Including, it must be said, a real novelty: Schubert’s “Arpeggione” Sonata. Fans of chamber music will recognize this as the one and only composition of merit for the dodo-like instrument of the title, which became extinct not long after its invention in 1823. Could the piece work as a concerto for cello and strings? It could and did in a version created by Luna Pearl Woolf for her husband Matt Haimovitz, who was the featured soloist of the evening. Through judicious use of mutes in the Adagio and pizzicato in the finale, Woolf fashioned a string accompaniment that was both faithful to the piano original and idiomatic on its own account. Solo violins provided discreet but necessary touches of variety to the recapitulation of the first movement. Haimovitz was soulful and playful by turns, affectionately conversing with the orchestra in a manner best described as Schubertian. A pedant might wonder about vibrato applied liberally to a part written for an instrument with frets. I was content to bask in the music-making. The conclusion, quietly undulating, was superb. 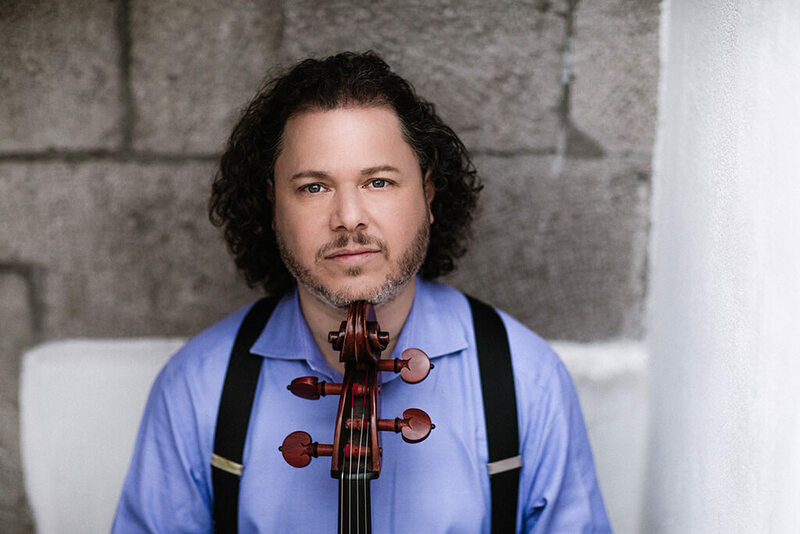 Haimovitz was heard again after intermission in Ernest Bloch’s cello-and-piano triptych From Jewish Life. Woolf arranged the “Prayer”; former I Musici staffer Peter Purich dealt with the “Supplication” and “Jewish Song.” In this music the illusion of authenticity was complete. Haimovitz, taking the role a cantor, projected boldly. Everything sounded spontaneous. The concert opened with the only music written originally for string orchestra, Viatore by the Latvian minimalist Pēteris Vasks. Solemn chants, often pitched low, were intermittently decorated by what the program annotator (quoting another annotator) called twinkling violins. While I am no enemy of the return to tonality, the harmonic language in this score was too limited to sustain an arc of 16 minutes. The most interesting elements were the “modern” glissandi at the beginning and end. All the same, Zeitouni made the best of the situation by attending closely to what detail there was. Expanded to 22 players, the orchestra produced a handsome glow throughout the evening. One might argue that such a texture is not ideal for Beethoven’s ferocious Grosse Fuge for string quartet, but the program-concluding performance of the Felix Weingartner arrangement was appropriately clear and energetic. Occasionally I felt the first violins were speaking too strongly. Possibly my position on the left side of the hall had something to do with this impression.